How does it work and do I need it? Main image caption what is cruise control? Cruise control is a clever system that allows you to programme in a set speed, for example 70mph, for the car to maintain without any input needed from the driver. You'll carry on doing that speed until you deactivate the cruise control, although pressing the brake or sometimes clutch pedal also interrupts it. Most systems feature buttons for switching the system on and off, setting the speed, pausing the system and adjusting the set speed up and down. 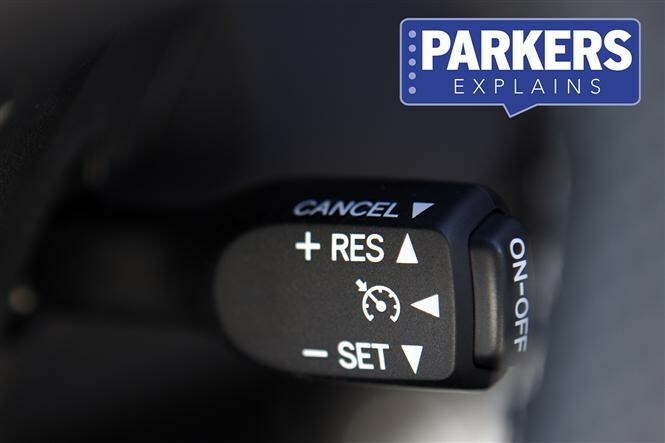 Cruise control keeps an eye on the road speed, adjusting the throttle position in reaction to inclines and declines to maintain the selected figure set by the driver. As most cars now have electronic throttle pedals (using a sensor rather than a physical link to the engine), the function is easily built into the car's engine management system. If you do a lot of motorway miles it can really take the sting out of your right shin. It's not so useful on slower or busier roads where you find yourself repeatedly adjusting your speed. Most new cars, although often an option on cheaper models or base-spec equipment grades. Sometimes supplemented by a speed limiter.